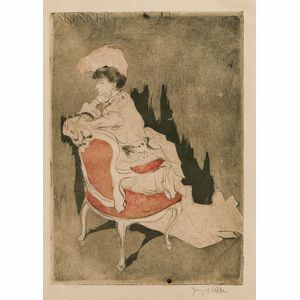 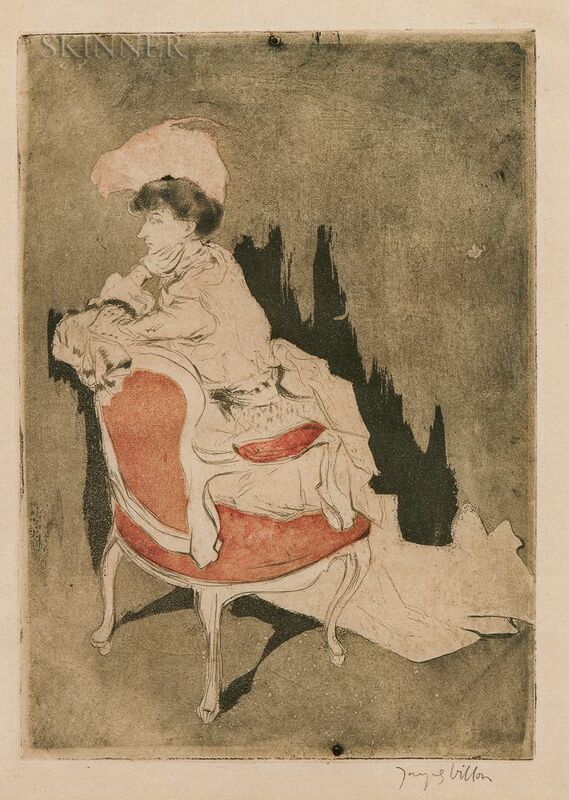 La Parisienne (tournée à gauche, petite planche), 1904, possibly a proof impression outside of the edition of 100 (Ginestet & Pouillon, 93). 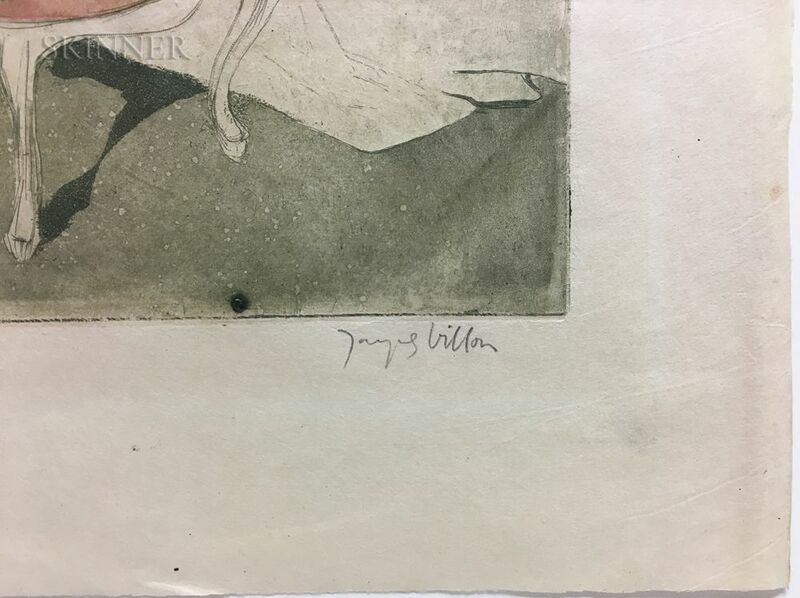 Signed "Jacques Villon" in pencil l.r., identified on a label from Retina Gallery, Inc., Cambridge, affixed to the backing. 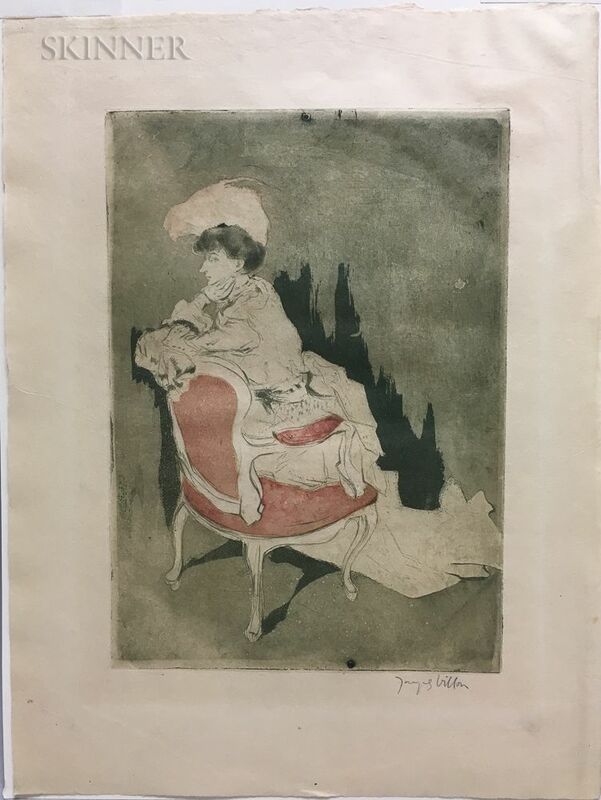 Color etching and aquatint on Japan paper, plate size 9 3/8 x 6 5/8 in. 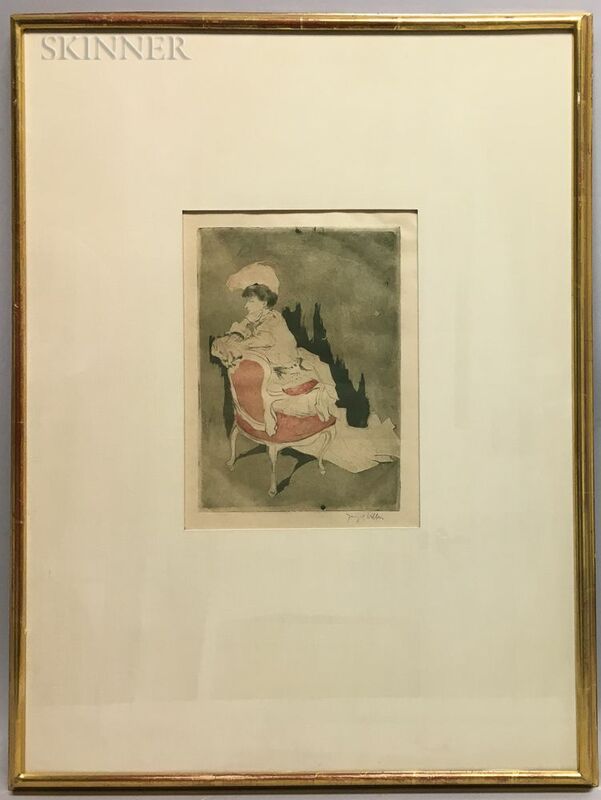 (23.7 x 16.7 cm), framed. 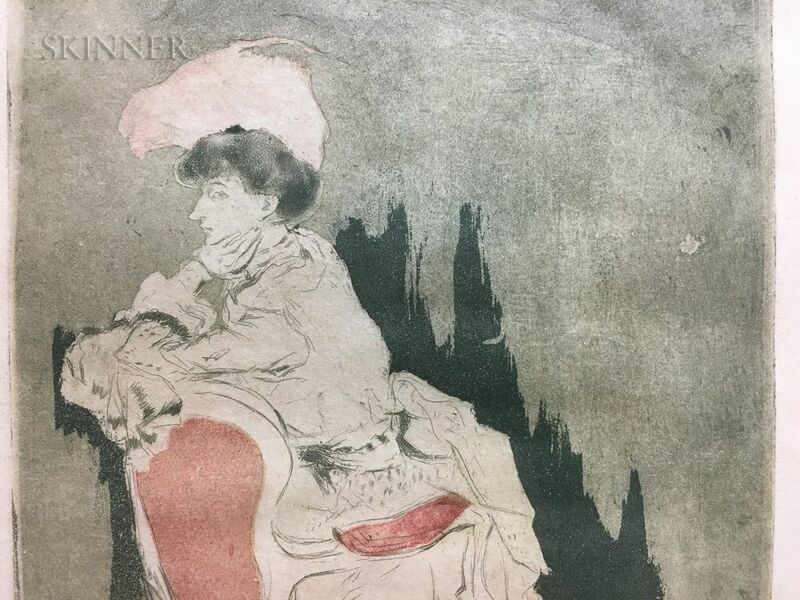 Condition: Full sheet with deckled edges and gentle toning/staining, registration pinhole to image as printed, subtle handling and/or printing creases. 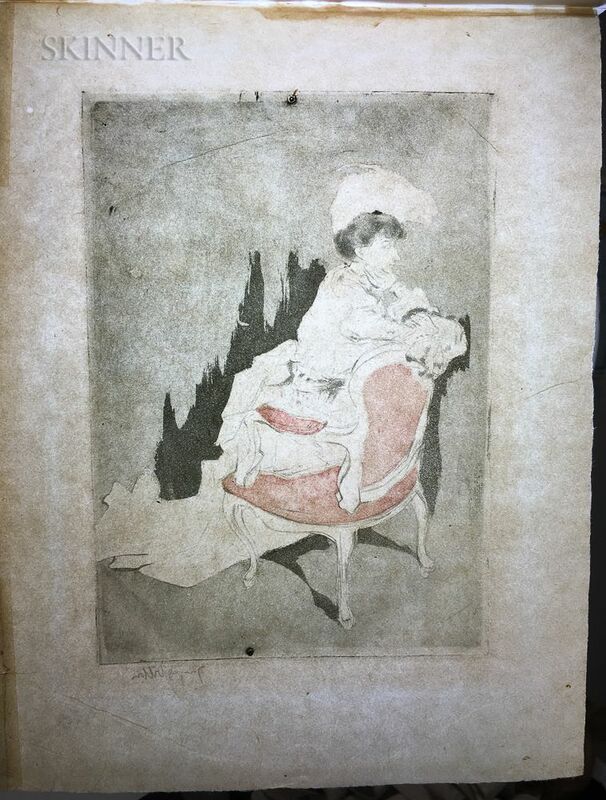 The sheet measures 13 1/8 x 10 1/8 in., old glasine hinges to verso along right edge.